Economist Steven Vickner, an associate professor in the University of Louisville College of Business’ equine industry program, knows the possibilities of cutting-edge research that could help horse racing make smarter business decisions. He just needs the data. So continued the call Thursday at the National Horsemen’s Benevolent & Protective Association Convention for greater sharing of data and revved-up analytics. Vickner described the beneficial ways to “tease out” factors involved in when, why, how and on what people bet as limited only by the access to data. The presentation at the Sheraton Sand Key Resort dovetailed with the new Thoroughbred Idea Foundation’s recent white paper advocating that raw data files be provided free to non-commercial entities as well as free past performances of upcoming horse races as ways to spur innovation and encourage new players. The white paper also recommended partnering “with universities to study racing data, developing new and advanced metrics for the betterment of the sport.” Enter Vickner, who said U of L’s goal is to regain its position as the world’s academic thought leader on the equine industry. Vickner, hired by U of L last August, discussed a study model he constructed with his former University of Kentucky student Steve Koch (now the executive director of the Safety & Integrity Alliance of the National Thoroughbred Racing Association) that looked at 1,515 thoroughbred races over 165 days in 2011 at Woodbine Racetrack in Toronto to identify factors influencing handle. The leading determinant of per-race handle was field size. Restricted race conditions, such as for Ontario-sired horses, had a negative impact on handle, though larger average field sizes in those races offset the effect. The study also looked at the impact of weather, race distance, surface, off-the-turf races and day of the week and month. Among the data not reflected was who the horses, jockeys and trainers were in each race. Vickner said it’s not simply a matter of looking up the race charts on Equibase for data. In fact, the Woodbine study was possible because Koch was working there at the time, he said. Beyond the massive time and ensuing expense, some tracks are reluctant to share data because of concern of revealing proprietary secrets or that something might “shine a negative light on a company,” he said, adding that tracks are more likely to feel comfortable sharing old data. Vickner said that fear should be assuaged once multiple tracks become part of study, where conclusions can be broad-based and individual operations can’t be pin-pointed. He said his research team will be making requests of Equibase, The Jockey Club Information Systems and racetracks for data but wants to do it for upcoming racing rather than for old data. One such project is with Monmouth Park for the New Jersey track’s 2019 racing season that will include data from the Monmouth’s new sports book. Practically speaking, online advance-deposit wagering platforms are the only entities that can reliably provide information on who is betting what and when. Louisville-based AmWager officials said they are excited about the opportunity to collaborate, with founder Nelson Clemmens and simulcasting director Papo Morales (a U of L grad) telling Vickner they will open up all their data to a research project that can advance the sport. Vickner said U of L ultimately will conduct economic-impact studies on every Kentucky racetrack every year for free as part of the mission of working for the commonwealth’s horse industry. He currently has in the works economic-impact studies on Turfway Park and Kentucky Downs for 2018, along with the 2015 Breeders’ Cup at Keeneland and 2011 Breeders’ Cup at Churchill Downs. “The idea is then to show this product to each and every racetrack in America and say, ‘Wouldn’t you want one of these, too?’” he said. Vickner also encouraged tracks, horsemen and industry entities to come up with research ideas that could be studied by teams of four or five students. Digital tattoos and foal papers for racehorses not only are coming, they’re here. After Dec. 31, 2019, only electronic rather than hard-copy registration papers will be issued and the physical ink-based lip tattoo will be officially replaced with a microchip. Curtis Linnell, executive vice president of the Thoroughbred Racing Protective Bureau, and TRPB agent Emma Smith provided an update on digital tattoos for horsemen at the convention. The electronic papers will include photographs of a horse’s markings and identifying characteristics, as well as a history of ownership, sales, claims and more. Also to be logged: any time a set of electronic papers is pulled up for viewing, including by a track racing office, stewards, veterinarians and in the case of a claim or sale. The microchip will be the size of a grain of rice and have a 15-digit number. The Jockey Club, North American racing’s official registrar, made microchipping optional for foals born in 2016 and mandatory starting with thoroughbreds born in 2017. The electronic papers became available in 2018, though physical papers still could be requested. The process of registering horses remains the same, including taking a mane sample from the foal for DNA certification, he said. When the microchips are scanned using bluetooth technology, the electronic papers and foal photographs will automatically be pulled up on a computerized device, including a tablet or phone. 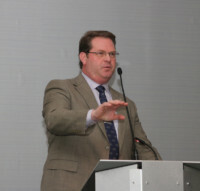 Eric Hamelback, the National HBPA’s chief-executive officer, said most horsemen want to know how the advent of electronic registration changes the old standard of having papers on file in a certain track’s racing office to get a preference date for determining what horses get in races that overfill. 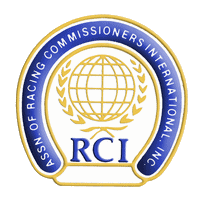 Linnell said there will be an electronic process to check out and administer papers but that comes under the purview of The Jockey Club, its InCompass system for racetracks and individual racing offices. 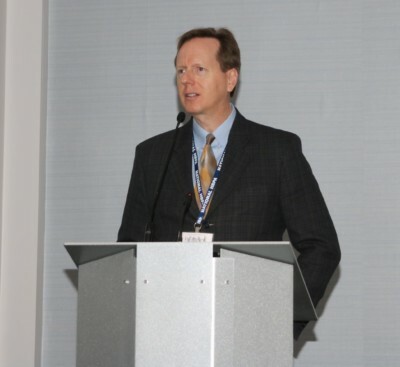 Hank Zeitlin, the TRA’s executive vice president and TRPB president, said an array of technologies came together to achieve the monumental updating of the registration and identification processes of racehorses. “A microchip now the size of a piece of rice is one thing,” he said. “You have these PCs, now becoming laptops, now becoming tablets, now becoming phones. We’re leveraging all these technologies, including the communications systems now available to all of us to bring this so that it’s available to an identifier in the paddock on the day of a race. Or to a guy at the gate on the day you arrive with your horse. It’s something we couldn’t do without technology moving forward in other areas. “It took a few organizations collaborating to get this done well. The Jockey Club is cooperating with horsemen with the TRPB, making their database available to our identifiers. Right now when you go to identify a horse, all you have is a physical piece of paper. In the future when we go to do this, we’ll be able to scan this horse’s neck and the foal photos will pop up. So the integrity of that identification gets enhanced because of the collaboration. The tracks themselves are having to make investments in technology. Also Thursday, the Thoroughbred Owners and Breeders Association’s Lauren Monnet (director of membership and owners concierge) and Meredith Downey (director of marketing and education) updated the convention on the array of information, services and initiatives available to owners and perspective owners. That includes the OwnerView.com website created in conjunction with The Jockey Club. A regular fixture at the HBPA convention, The Jockey Club Information Systems’ director of marketing Susan Martin gave her annual update on the newest data and statistical information and services available to horsemen through Equineline. That includes a broodmare portfolio service that automatically updates pedigree information, sales entries and results of family members and racing records. The free products include featured portfolios on the top Kentucky Derby and Kentucky Oaks contenders, Martin said.